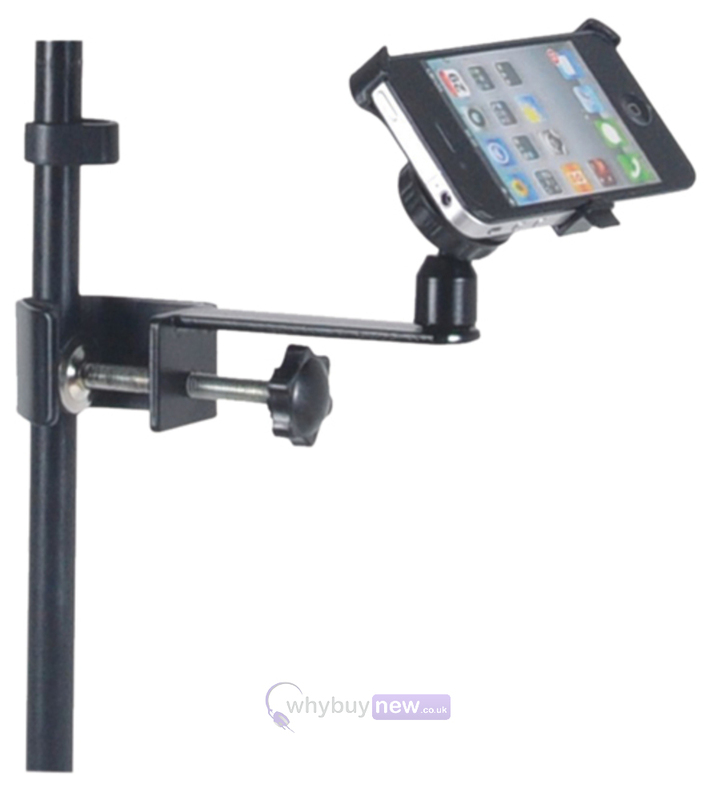 The Smart Phone Stand Holder can be mounted on a musicians stand, fits and securely tightens in place. 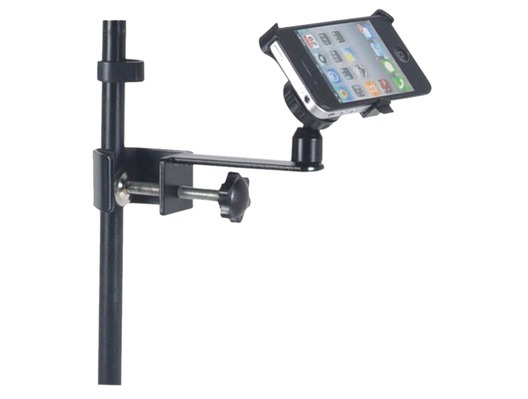 This Stand Holder is ideal for DJs or Musicians and will safely support iPod and iPhone devices as well as other brands of smartphone. Designed to be quick and easy to assemble and transport.